Prominent & Leading Manufacturer from Mumbai, we offer printed glass. 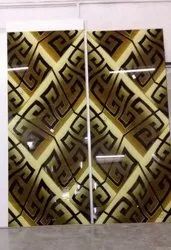 Digital ceramic printing on glass is a technological development used for the application of imagery, pattern or text to the surface of flat glass. Like other printing on glass methods, it uses a form of printmaking. Looking for Digital Printed glass ?